Puzzle Pieces. . 2000 of them lay on the carpet of ‘Victor’s Room’. ”Oh wow that’s great!” That’s what I always said when people enthusiastically showed me their impressive sized completed puzzles. ”A 2,000 piece puzzle? Are you kidding me? Who has time for this kinda stuff?” That’s what I always thought when people showed me their impressive sized completed puzzles. Turns out, 2011 was (or much rather, is) my year of finding out, I’m the ‘who’ to most of my questions. For example, mountains. I’d see a mountain range in a movie, or magazine, or read about them in books, and the people that lived in those ridiculously beautiful places, and I’d think ”Come on! Who really lives in places like that?” Yep, Abbotsford happens, to be surrounded by mountains. ”Who obbsesively writes with so many comas?” ,,,,,,,, I dooo!!! 2011, has brought a drastic move into our lives. Yes I said drastic, although we didn’t move out of the country, we moved to the other side of it. We’re never technically alone, but dropping the technicalities, we are alone here. Yet, we’re together. We have us four. And it’s bringing us together like I hoped it would. Two weeks ago, we began this puzzle. And Sabbath night, we finished it. 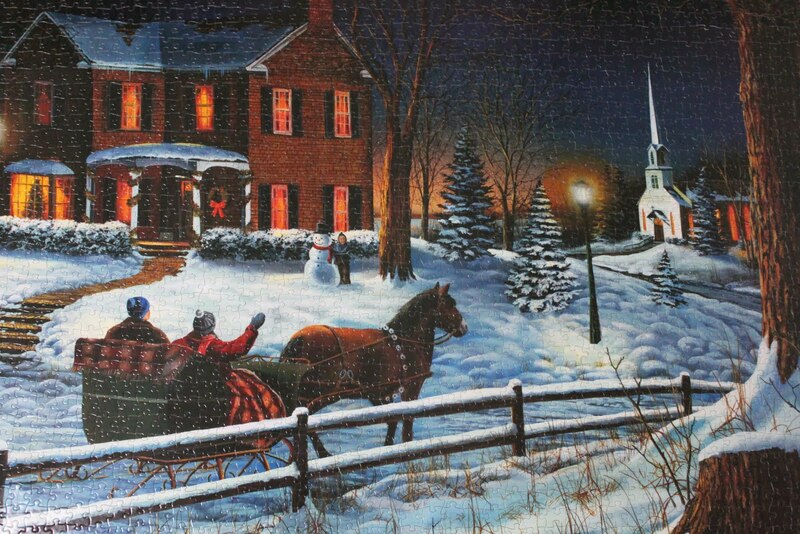 Who has the time to complete a 2,000 piece puzzle?! P.P.S. Thanks Sis. Brenda Lalich for giving us the puzzle! We had a wonderful time. P.P.P.S. Must read/watch Abbott&&Costello’s Who.